These are the proceedings of a workshop that brought together research communities addressing the hot and cool parts of the uppermost Hertzsprung-Russell diagram (HRD). These two communities have been stubbornly disjoint, and the workshop aimed to bridge the gap between researchers studying these different sides of the HRD. While morphologically separated, stars occupying these extremes of the HRD are intimately related via evolution, as well as both having atmospheric properties affected by extension and stellar wind outflow. At cosmological scales, like in distant starburst galaxies, the historical distinction between blue and red stellar populations becomes obsolete, and understanding the complex relation between the red and blue parts of the HRD is mandatory. 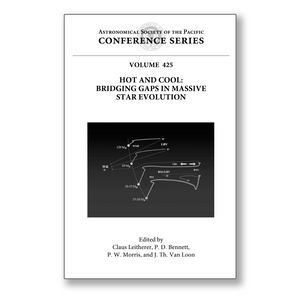 This meeting allowed the participants to investigate similarities and differences between hot and cool stars, identify the most challenging questions in evolutionary connections, and discuss the latest theoretical and observational progress and prospects in certain evolutionary or mass/temperature regimes. The workshop resulted in a more unified understanding of massive stars and luminous extragalactic stellar populations.